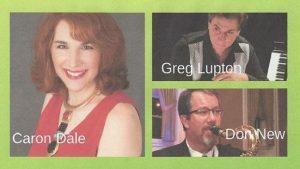 Members of Lox & Vodka, Greg Lupton, Don New and Caron Dale, will be performing December 9 at 7:30 pm. 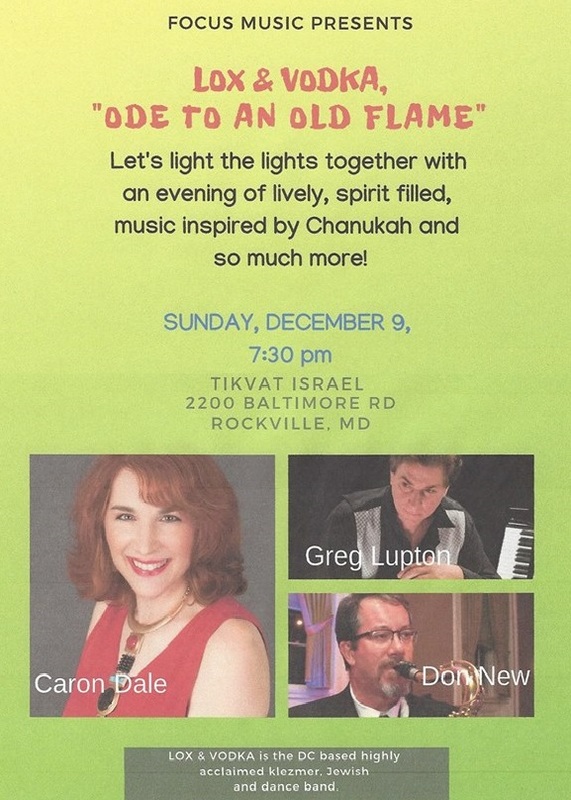 Lox & Vodka grew out the members’ love of the music, the rich traditions, the holiday celebrations and the deep spirituality that Judaism offers. Precious memories of Friday nights with grandma and grandpa, teenage Shabbatonim with non-stop singing and dancing and treasured family simchas filled with ritual and music, inspired the creation of this upbeat, uplifting, spirit filled band. Combine this with outstanding musicians and a high level of professionalism and you have the recipe for a sensational experience. Klezmer music, or in this case Jewish soul music, has been in existence since the Middle Ages when klezmorim (itinerant musicians) would travel from shtetl (village) to shtetl to play for Jewish weddings and other celebrations. As they traveled, the musicians adopted a wide range of musical idioms. In turn-of-the-century America, the klezmorim quickly mastered new instruments and styles. Today, Lox & Vodka is part of the revival of this spiritually endowed musical form, sometimes with a touch of classic rock, Motown, swing, country and big band music.